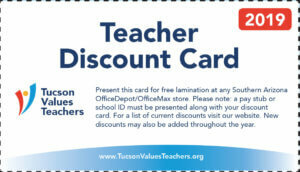 Tucson Values Teachers and OfficeMax/Office Depot presented the October Teacher Excellence Award on Tuesday, Oct. 30 to Chris Peters, an astronomy and financial literacy teacher at Rio Rico High School in Santa Cruz Valley Unified School District. Peters was surprised with the award presentation during his second period financial literacy class. District and school leadership, including Superintendent David Verdugo and Principal Shelly Vroegh, were present for the presentation. Peters, who has taught his entire career at Rio Rico High School starting in 1995, also serves as the campus National Honor Society sponsor. During his tenure, Peters has taught a variety of math courses at Rio Rico High School. Astronomy, however, holds special importance because his father was an astronomer. “Mr. 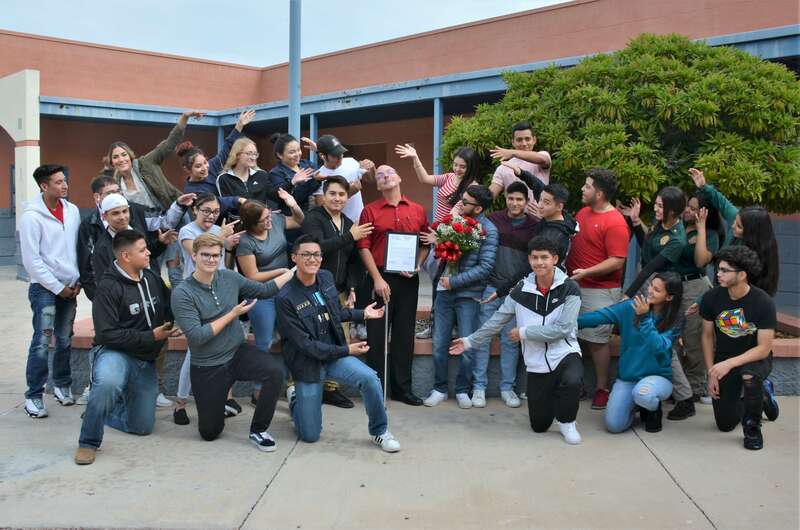 Peters is an excellent teacher who has been on this campus for more than 25 years,” said Nagesh Kumar, a colleague in the math department at Rio Rico High School who nominated Peters for the award.